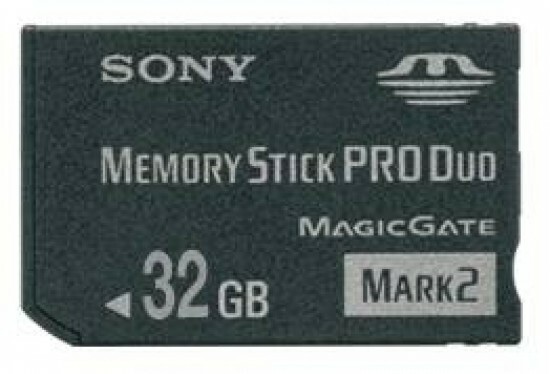 Sony have revealed their highest-capacity Memory Stick PRO Duo card to date. The Memory Stick PRO Duo line now goes all the way up to 32GB thanks to the launch of a new high-capacity model. Handycam owners shooting in FH mode (1920 x 1080 Full HD) can now record 225 minutes (3 hours 45 minutes) of HD video using a single card. And with the latest models of their Cyber-shot digital camera range, each video clip now can be recorded up to 29 minutes (using Fine mode: MP4 1280 x 720). The new card will be available from the end of September for about $200.